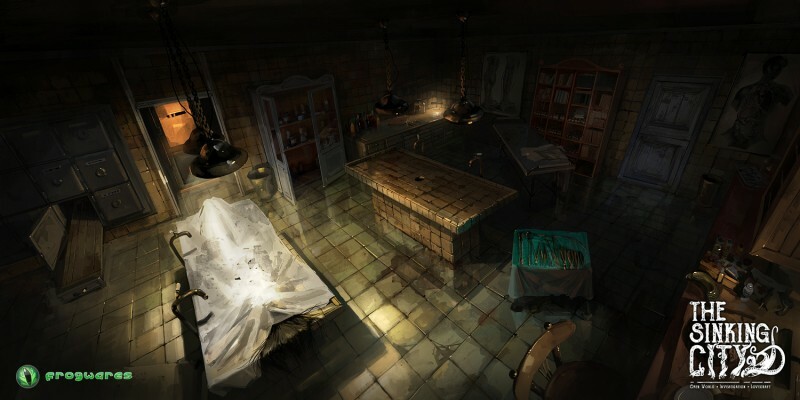 Lovecraftian lore is going through a revival in video games, with several recent and upcoming titles like The Darkest Dungeon, Sunless Sea, and Call of Cthulhu using the horror literature as a jumping off point for their story and settings. 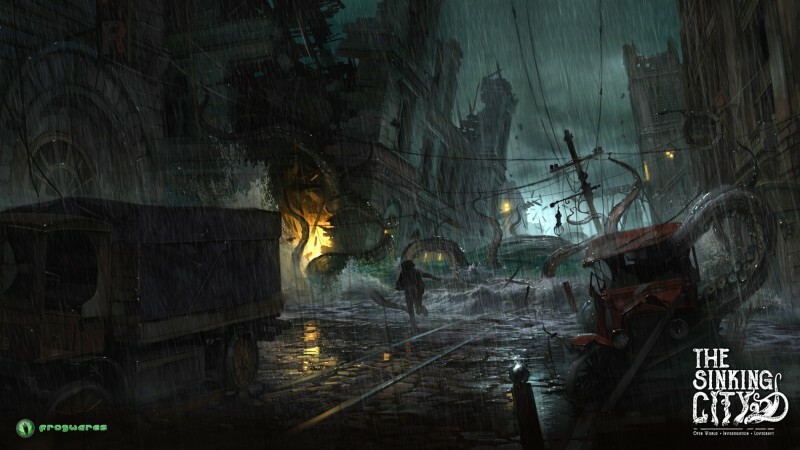 Bigben Interactive and Sherlock Holmes developer Frogwares have another title to add to the mix with The Sinking City. 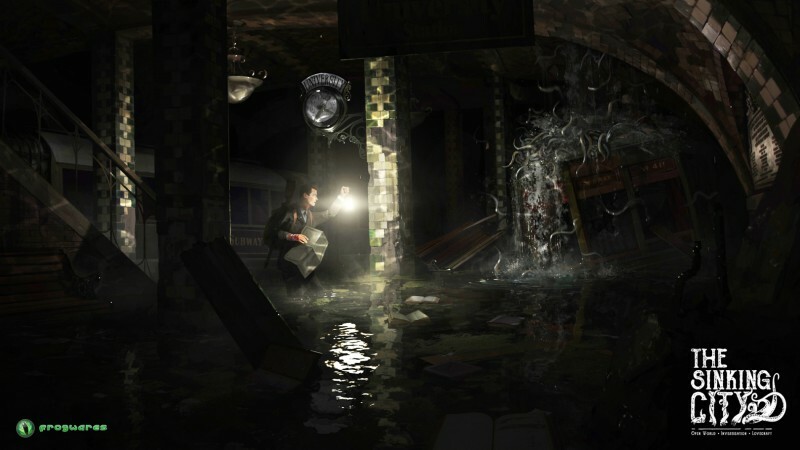 Whereas many other games integrate elements of Lovecraftian fiction like antiquated language, reclusive and detached heroes, xenophobia, and that narrow gap between sanity and insanity, Frogwares looks to be wrapping all of these into one faithful package that uses Lovecraft's oeuvre as canon. 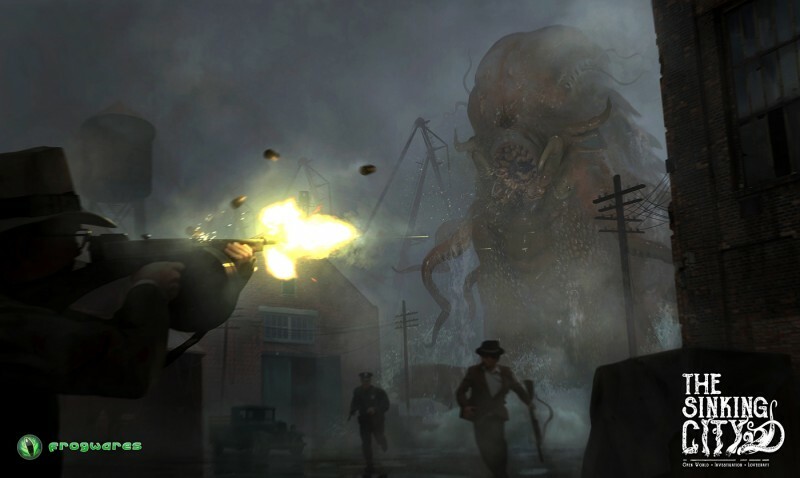 Set in the fictional Massachusetts town of Oakmont during the 1920s, The Sinking City follows the journey of a private investigator drawn to the city by its strange predicament. A half-year ago, the city suddenly flooded for no good reason, rendering the city nonfunctional, and ominous monoliths rose from the waters. But rather than evacuating, the Oakmont denizens seem perfectly content living in their newfound water world. Even stranger, others seem to be drawn to the city as well. 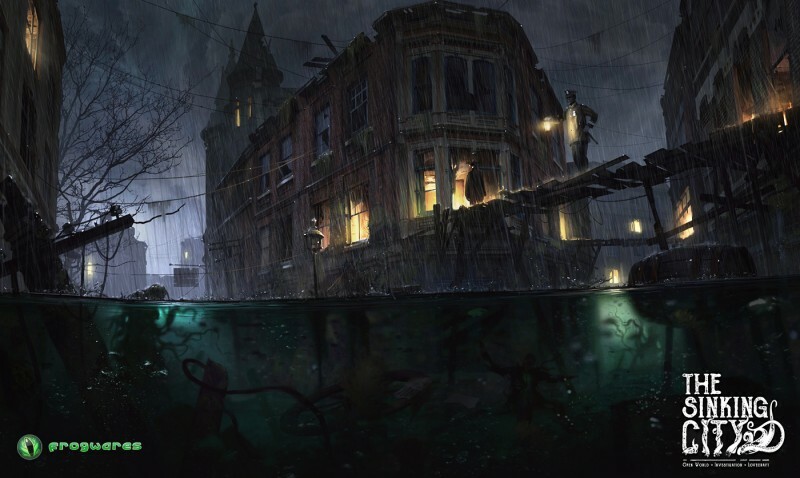 The Sinking City leverages the investigative chops Frogwares developed over its past several Sherlock Holmes games, but expands beyond the studio's comfort zone with an open-world environment. Your wily P.I., Mr. Reed, can visit any of the seven city districts at any time, many of which will require him to hop on a boat to navigate the flooded streets. 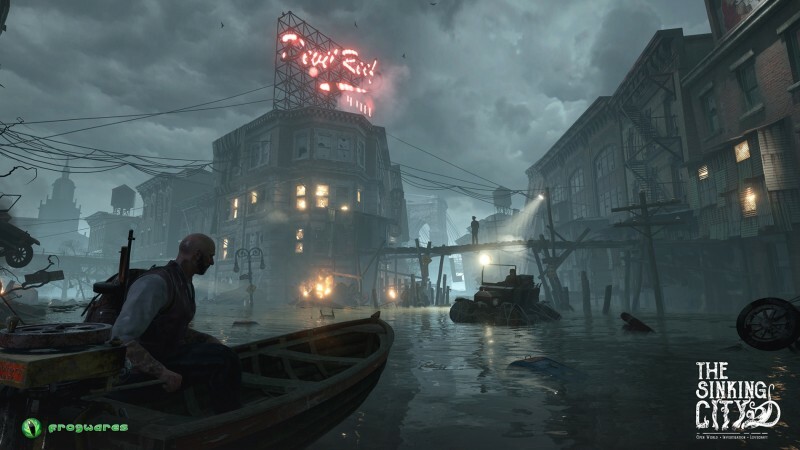 The Sinking City has minimal hand-holding, opting for a clean screen rather than inundating the player with minimaps and waypoints. 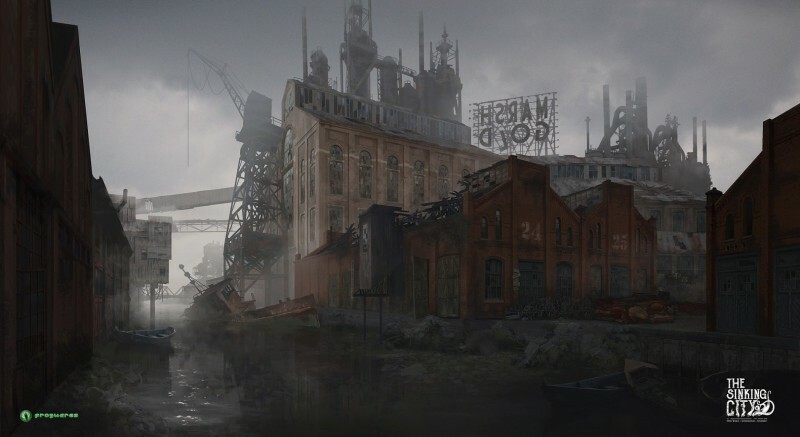 It gives the game a cinematic flair and lets you take in the foreboding atmosphere of the city. The game is divided between the main narrative and several short-story style side quests. Frogwares wants the entire experience to be driven by storytelling and investigation, so Frogwares isn't injecting mission-padding fluff like fetch quests. 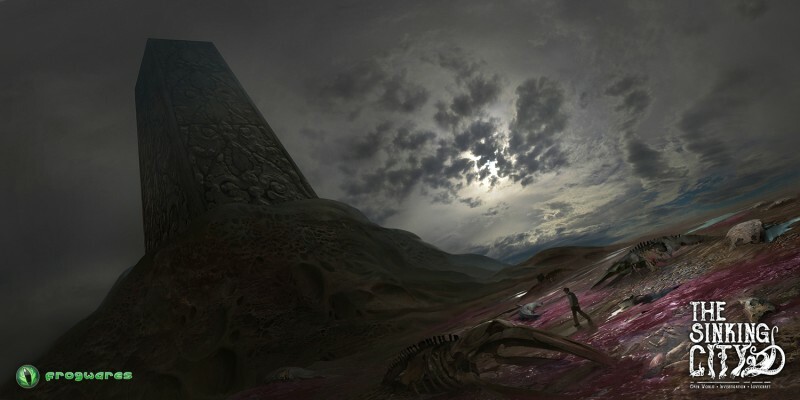 However, scavengers will be able to find collectibles throughout the environments. During a GDC demo, I got to see one of these side quests in action. Our gumshoe finds himself chatting with a woman whose husband, Harry Evans, has gone missing. The dialogue options allow him to try to get some actionable intelligence from the woman, and he discovers he has a cabin near Salvation Harbor. Before the conversation ends, I'm presented with a moral choice – do I take her offer of an engagement ring for my work, or say I'll do it for free? Not wanting to rob the lady of her heirlooms, I tell her not to worry about reimbursement. Before leaving her apartment, I rudely rummage through her drawers and find some ammunition for my pistol. Walking downstairs, Reed walks into a bar filled with some strange looking blokes who, judging by the markings on their necks, appear to be hybrids. In Lovecraftian lore, hybrids are beings who have both human DNA and that of The Deep Ones. The bartender we chat up is one of these with the "Innsmouth Look." I ask him if he knows Harry Evans, and he asks who I am. I can push back rudely, which could make him less willing to cooperate, or be cordial. Throughout the game, players will be presented with minor moral choices like this that define their experience. With our only lead being Evans' cabin in Salvation Harbor, I pull up the map and place a marker at the intersection his wife mentioned. I hop on a boat and head in the direction of the marker on the compass. Salvation Harbor appears to be an older section of the city, with mostly wooden structures. All the street level, doors are boarded up, but I notice an open window on the balcony of one building. A truck is conveniently parked right next to the balcony, so I climb up and let myself in. Casing the joint, I find some evidence that confirms this is Evans' cabin. Walking downstairs, I see a strange symbol painted in blood on the wall. I take out my camera and snap a shot to record the evidence. In the next room over, I find a headless body. The unsettling image of this decomposing corpse sends Reed into a sanity spiral, and he starts losing his bearings. 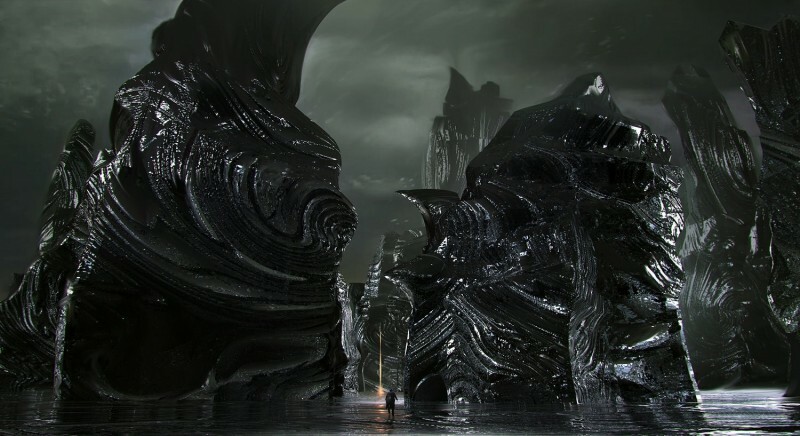 He starts to see visions like black breaches in the walls, and suddenly he hears the disconcerting guttural noises of encroaching monstrosities. Pulling out the pistol, Reed cleans house and regains some of his sanity. With the immediate threat vanquished, he can get back to the investigation. Reed's visions sometimes enable him to see things that have happened in the past, not unlike the echoes in The Division. After finding several bits of the sequence in the house, he has to activate them in the right order to see how the situation played out. Here, I learn someone brought this headless body to the cabin and dropped it here. With the on-site investigation done, I have two leads – a newspaper clipping mentioning Evans and the photograph of the strange symbol. Oakmont has several destinations Reed can return to at any point during his investigations, such as the city hall, police station, library, fish market, and hospital. 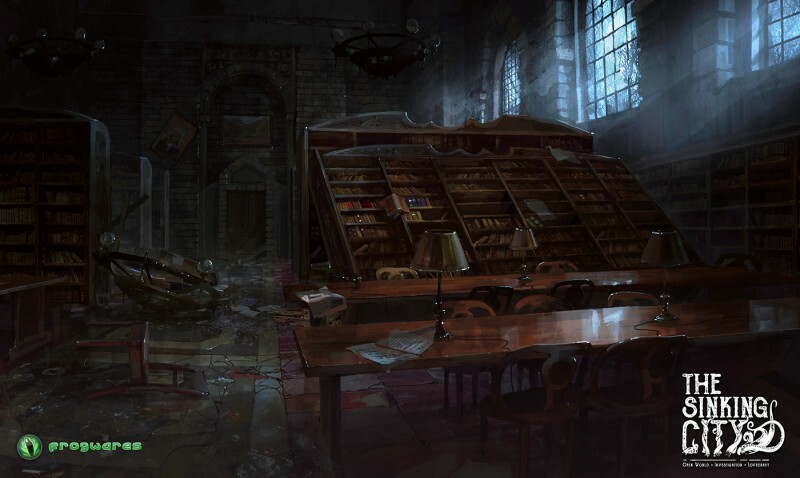 I set off to the city center to check the library for information on the strange symbol. Looking through a book, we learn the sign represents the Eye of Dagon. Knowing the Esoteric Order of Dagon is the primary religion at Innsmouth, the demoer says lots of Innsmouthers can be found at the fish market. I could go to the newspaper headquarters to investigate the clipping before leaving, but instead decide to fast travel to the fish market. We meet another hybrid here and he tells me the guy we're looking for is hiding in the basement. As soon as I walk down the stairs toward a ritual site I realize something is wrong. Turning around, several robed figures approach and the demo comes to an end. Had I investigated all my leads I would have known this was a trap, but my impulsiveness got the best of me and left me in a tough spot. Rather than hit the player with a game over screen, Frogwares wants players to live with their mistakes. Given my outcome, I never got to the bottom of the Evans case, and I'll have to live with that. 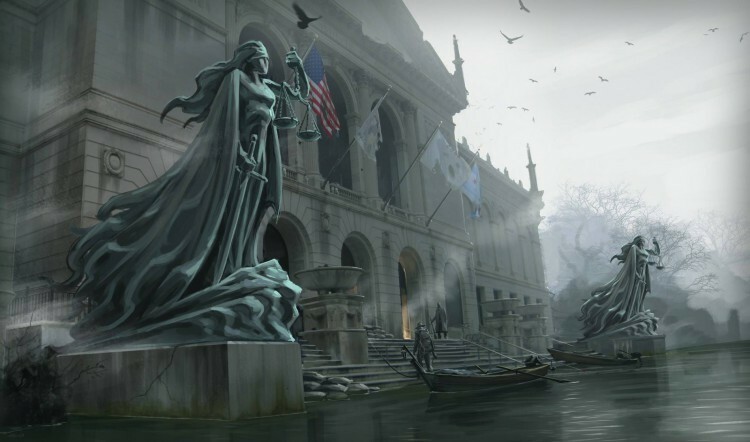 Though the stilted voice acting could use a serious injection of passion, the setting, investigation tools, and lure of a Lovecraftian open world make The Sinking City one worth keeping an eye on. The game currently has no release window, but will eventually come out on PlayStation 4, Xbox One, and PC.